Performance by Diane Ridell, Geoffrey Dodd, Marla Swift, George Dreyfus from the CD Rush ; The adventures of Sebastian the Fox, and other goodies. The adventures of Sebastian the Fox : arr. 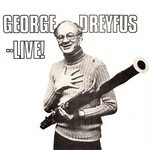 for bassoon and piano / George Dreyfus. 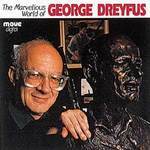 The marvellous world of George Dreyfus. 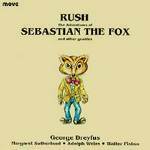 The adventures of Sebastian the Fox : arranged for school orchestra / George Dreyfus. 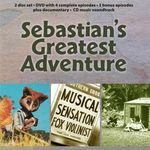 The adventures of Sebastian the fox : for 4 bassoons and narrator (ad lib.) / George Dreyfus ; [text] Tim Burstall. Berlin : Musik- und Buchverlag Werner Feja, c1994. The adventures of Sebastian the Fox / George Dreyfus. 1 v. of music (11 p.) ; 31 cm. The adventures of Sebastian the fox / composed by George Dreyfus ; arranged for piano by May Clifford. 1 v. of music (15 p.) ; 29 cm. The adventures of Sebastian the Fox : for violin and piano / by George Dreyfus ; arranged for violin and piano by Josette Morgan. Suite of eight descriptive pieces with narrations. (xi) Flute, Clarinet, Violin and Bassoon. Soundtrack to the television series. Unknown date: Montsalvat. Featuring Max Neil, Heather Steel, Joanne Russell-Clarke, George Dreyfus. 15 Apr 2018: at Celebrating George Dreyfus (Robert Blackwood Concert Hall). Featuring Benjamin Northey, Monash Academy Orchestra. 10 May 2015: at Sebastian the Fox and Other Creatures (Canberra Girls' Grammar School). Featuring Moorambilla Voices, Woden Valley Youth Choir, Canberra Youth Orchestra. 22 Apr 2012: at Die verschwundenen Musiker (Evangelische Citykirche, Elberfeld). Featuring Wuppertaler Kammerorchester, Johanna Watzke.